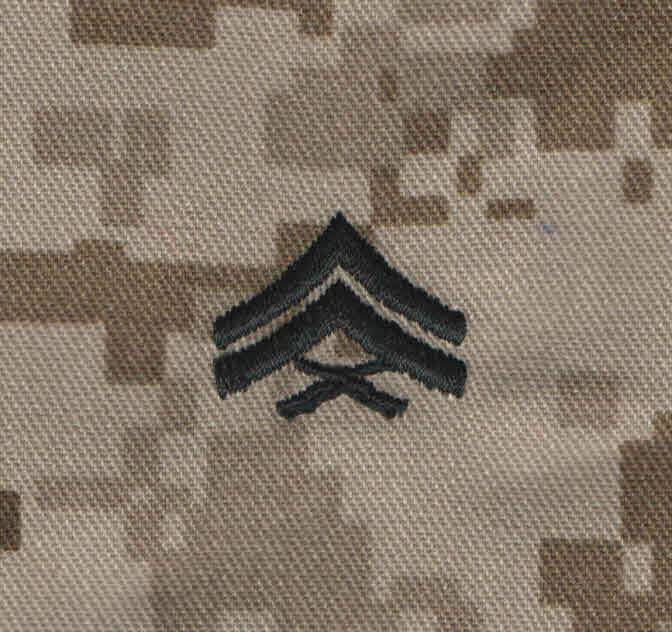 MCCUU DESERT FROG RANKS 2X2 WITH HOOK Military Name Tapes & Rank Insignia. Leather Flight Badges for all Branches of Service. USMC RANKS ON MARINE DIGITAL DESERT PATTERN WITH VELCRO HOOK FASTENER 2 INCH BY 2 INCH. DS MCCUU NAME TAPES with Hook Fastener. 1 Inch Tall by 5 Inches Long. NYLON COYOTE NAME TAPES SEW ON. NYLON COYOTE NAME TAPES with HOOK FASTENER. RIPSTOP COYOTE BROWN FABRIC USMC NAME TAPES Sew On 1 Inch Tall for Marines. 2 DS NAME TAPES AND 1 DS U.S. MARINES BRANCH TAPE Sew On.